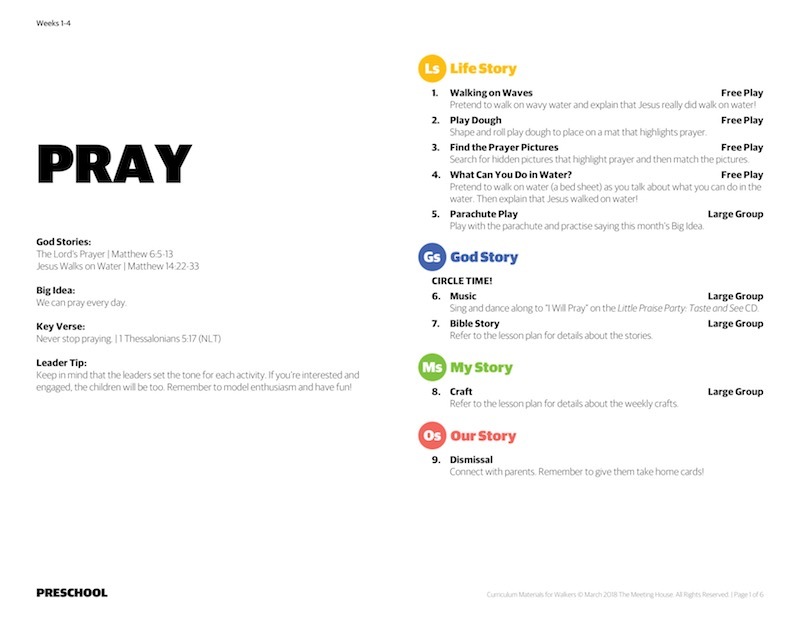 In this series, children will learn that God wants to spend time with us and one way we can do that is to pray every day. 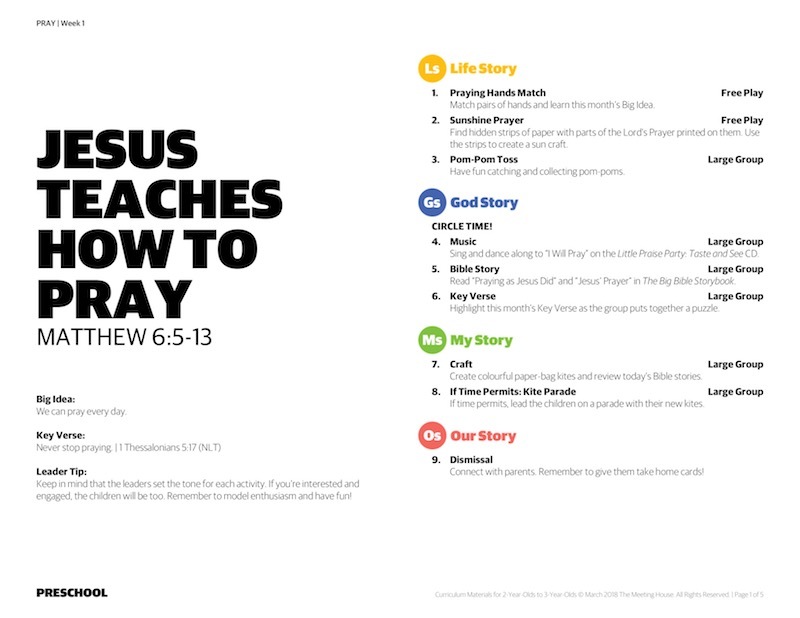 We can pray every day, anywhere, and any way. Prayer is how we talk to God, how we listen to God, and how God transforms our hearts.